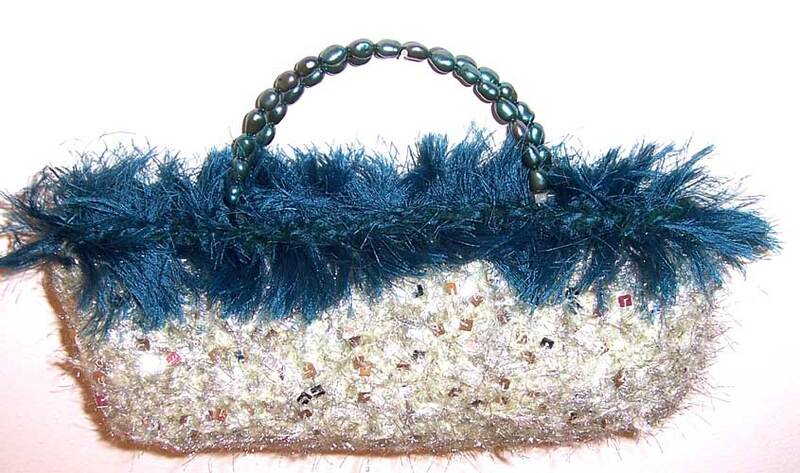 Hit the town in a big way with this evening bag! Teal fur and matching teal freshwater pearl handle. Light green body with sequins. Approximate dimensions are 4 (h) 11 (w) 2.5 (d).